What would I do if I quit? 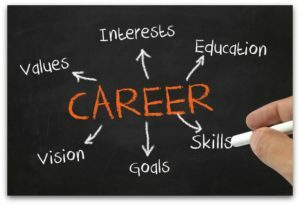 What could I do with my qualification and experience? The question stands on solid grounds. It is really not easy to change your career. You have certain skills, education and experience. You are good in your job. You have your routine–though you may not like all of it anymore. For this reason we prepared for you a list of careers that are easy to start, fun to do, and can bring new spark of life to your everyday routine. Ready to learn more about them? Let’s start! Many people are tired from working with computers, or standing at the assembly line for hours on end. If you belong to this group of people, you may find the role of an HR professional interesting and intriguing. No special education or experience is required for many HR roles. You just work a bit on your people skills, communication skills, and show willingness to learn (and perhaps you already have these skills, and do not need to improve on them). Head to the job boards, and look for vacancies in HR field. Soon enough, you can change your lonely office, or your spot at the boring assembly line, for a never ending session of interesting meetings with other people from the company. Interviews, training sessions, motivational talks, discussions–all of that, and much more, belongs to the scope of HR. Ready to start your career in the field? Many jobs are routine, and you may be tired of one such (or perhaps of a succession of routine, repetitive jobs that present no challenges and excitement). Give a try to marketing. Working on various campaigns, seeing interesting designs, being creative in your job, and learning new fascinating subjects such as color psychology, consumers behavior, or website analytics, can bring a new spark of life to your boring daily routine. What is more, there are plethora of entry level positions in marketing, and these jobs are always advertised on major job boards. You can jump to the field without having any previous experience with it. But you will need some creativity–perhaps you already have it? World is hungry for content. There is a huge demand for quality writers, proofreaders, translators. If you like to write things, or correct them, you should definitely have a look at this field. You can write content for websites, do some copy-writing, or even reviews, or write resumes (we did that for some time on Interview Penguin, and it paid well). Profession of a writer has one extra advantage. You are independent, you can work from home, and you do not need to report to the boss. If you are tired from the corporate hassle, go for writing! We sit in the office, in front of a computer screen. Then we come back home, and sit in front of the TV. In between the two, we sit in a car (or in a metro, tram, bus). Sit, sit, sit, no wonder that we are obese, and often tired of our sedentary jobs. Why not to try manual labor? A bit of fresh air, and a different kind of people. People who enjoy being outside, people who are not afraid to put their hands to the test. Sometimes it is not a job title, but the type of our occupation that stands between us and the feeling of happiness. The number of freelancers is growing each year, and with websites such as freelancer.com or fiverr.com, it was never easier to become one such, and to find your first clients. Learn a skill, or use a skill you already have to build your successful career as a freelancer. Do you enjoy making pictures? Are you good with design? Can you advice on personal finances? Or perhaps you can write a nice article about something? Join one of the freelancing sites, and start approaching people who post there projects on the website. The beginning is not easy, but once you establish yourself, the clients will keep coming. Interview preparation guide – Everything you need to know to prepare for your job interview. Interview answers, clothes to wear, etiquette, tips, mental, physical and informational preparation. Prepare and succeed.